Do you have a small team working in a confined space such as a duct or vat? When you need temporary monitoring for a few hours for a specific task, use ConneXt Pack, a turnkey, easy-to-deploy kit for up to eight wireless detectors, which send real-time threat readings to an attendant standing outside the space — with no computer needed. With ConneXt Pack, pre-configured wireless gas monitors report hazardous gas information and man down alarms to a remote host controller. 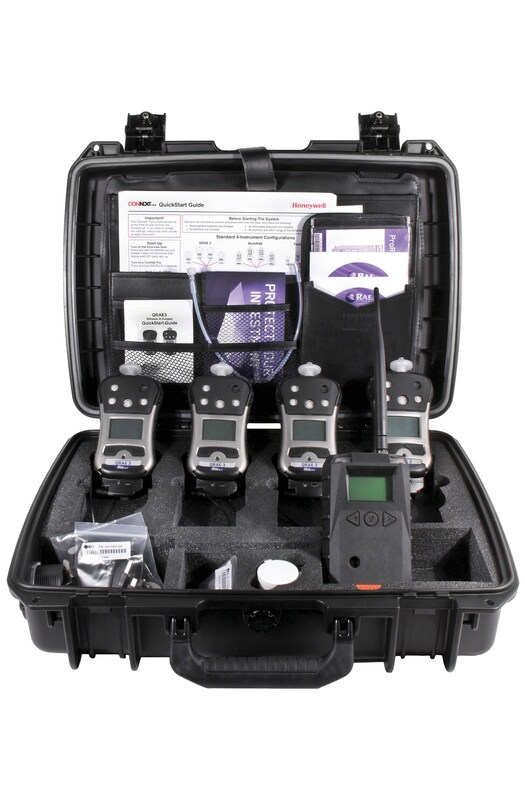 Using the wireless handheld EchoView Host controller, an attendant can monitor workers’ gas detectors in real time, become instantly notified of any hazards and, in the event of a man down, send immediate rescue. This entry-level wireless solution also reduces workers’ stress, giving them peace of mind that when every second counts, someone is monitoring their safety. Contact us today to find out more about real-time wireless gas monitoring. ConneXt Pro, an enterprise solution for gas detection, harnesses the Internet of Things (IoT) to give you real-time insights on gas threats. So you can know what’s happening, in the second it’s happening, and where it’s happening — and act on it with speed and precision. In this configurable, self-contained solution, real-time detector readings are sent to remote monitoring software viewable on a computer or mobile device. So whether you’re providing an extra layer of security for equipment technicians or maintaining real-time situational awareness for firefighters, ConneXt Plus gives you centralized command and control. And ConneXt Plus is a portable wireless infrastructure, so you can reposition it from one project to the next.